In the present manuscript, flexural gravity wave generation due to an initial disturbance in the case of two-layer fluid of finite depth in the presence of current is analyzed in three dimensions. From the plane progressive wave solution, effect of wave and current direction and the combined effect of current and compressive force on flexural gravity wave motion are discussed. Using Laplace and Fourier transform, the solution of the transient wave structure interaction problem is obtained and integral forms of velocity potentials, structural deflection and interface elevations are derived. Assuming the initial disturbances is on the plate covered surface asymptotic solutions for structural deflection and interface elevations are obtained using method of stationary phase for large time and space. 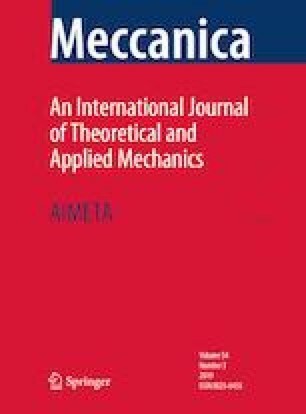 The study reveals that the effect of opposing current and critical compressive force in the presence of current has significant impact on the plate deflection. I would like to thank Prof. T. Sahoo, IIT Kharagpur for the discussion during the preparation of the manuscript. I acknowledge Indian Institute of Technology Kharagpur for providing help and support during the preparation of the manuscript. I acknowledge Birla Institute of Technology International center Muscat for providing the help and support during the preparation of the manuscript.